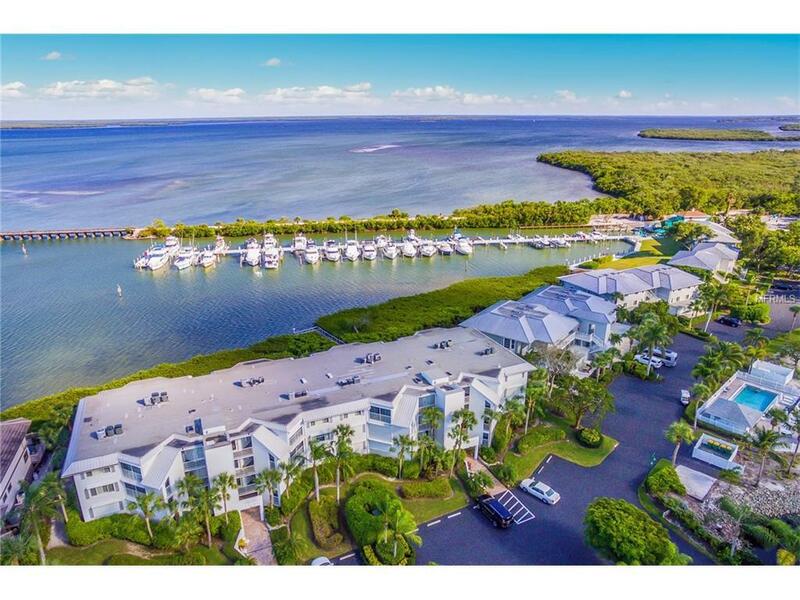 If you choose the tranquil life of a Boca Grande harbor side condominium, this Boca Grande Club Marina Manor property with sunrise views will be a must see. This spacious second floor end unit offers elevator access, single level living and an oversized garage with room for a car and a golf cart. There are three bedrooms, three full bathrooms, a separate dining room, large kitchen with a dine in area and breakfast bar, new stainless steel appliances, and a 30' X 20' open family room with built in cabinetry and a wall of glass doors that open to the beautiful harbor view. The condominium is protected by automatic storm shutters. Membership in the Boca Grande Club is required and includes an elegant gulf front restaurant, three pools across the campus, tiki bar that offers poolside refreshments and lunch service, a fully equipped work out facility, a tennis club house and popular tennis program. There is a required one time $10,000 initiation fee for the Boca Grande Club membership and annual dues of $3210.